Much has been written about ASH BORER: assumptions about the spiritual background, the ideals of the involved members and so forth. The band itself remains rather silent. On their official blog one can find all the basic information about upcoming releases and shows, but basically nothing beyond that. Of course it’s one of popular culture’s ironies that if you want people to talk about you, give them nothing to talk about – a principle the music industry learned to copy par excellence. So wild speculations are made, because it seems to be unimaginable that a band which plays music the way ASH BORER does, does not have a ideational superstructure, something that goes beyond the mere acoustic aspects. And this unwritten rule holds the more so because of ASH BORER‘s affiliation to the Black Metal scene – a scene that was built on the ideal of secrecy and deep philosophical thoughts in the music, where idiosyncrasy and outlandishness are overly rated as a positive virtues. True, this adoration of all things remote produced some strange effects during the existence of Black Metal. Think about the Swedish band Abruptum for example: Rumours told that the band members tortured each other during recording sessions (in fact all they did was to put vocalist IT underneath a sofa and sitting on it in order to get painful shreeks out of him…). Or, of course, all the different stories about Euronymous’ homicide. Or the underground tape labels then and today, whose releases are highly coveted due to the mere fact that they’re extremely limited and not sold openly. Secret-mongering and inside knowledge exist in every subculture there is, but it’s probably not too far-fetched to claim that these manners are higher developed in Black Metal than in most other music-related scenes. So there seems to be something more about ASH BORER, but the band leaves it to the listener to come up with ideas of interpretation. No official statements, no printed lyrics, nothing. All there is, is ASH BORER’s music. Excessive, trancelike, hypnotic, demanding, not to be figured out at first sight. The band’s previous releases (namely the demo, the split with Fell Voices and the self-titled LP) worked towards this record Cold Of Ages, that saw the light of day in autumn 2012 and didn’t see its vinyl release before April 2013. On Cold Of Ages all the elements and techniques that have been developed by ASH BORER before accumulate in 62 minutes of sublime music that might be as influental for the genre as Wolves In The Throne Room‘s emergence a few years back. Exemplary for the mood and composition of the whole album is the third track Convict All Flesh, whose titel offers at least a tiny bit of insight into the lyrical content. As the flesh is convicted, the flesh has to be accused of something. In many religions the punishment of flesh serves as compensation for the sins made. Furthermore, the flesh is considered of lesser value than the mind or the spirit, since it is bound to the material existence and can not be taken into the afterlife. Also the flesh is liable for waking the animal instincts of man, leading to carnality and fornication. Of course different traditions assess these instincts differently, however one might be able to say that on the whole, the progress of the individual is generally described as a path from compulsive (flesh) to enlightened (spirit). So the term “convict all flesh” might be understood as first step for the individual who is caught in his carnal shell towards a disengaged spirit. The musical realization would perfectly support such a theme, because it transports a similar feeling of an inner developement and a final enlightement. The song begins with three single notes, played repetitive by one guitar. This could be the awakening of the spirit. For nearly three minutes the tension seems to increase – but instead of bursting out something unexpected happens: a crystal clear, high voice sets in. The siren call belongs to Jessica Way, who might be known from her engagement in the band Worm Ouroboros, a truly avant-gardistic three-piece band from San Francisco. After this moment of pause (which lasts for about one minute) the song finally bursts into a furious, but strangeley hypnotic blast-beat driven part. The riffs played here are among the best ASH BORER ever have written. The emotional, semi-melodic riffing is capable of taking the listener into a trancelike condition; the accentuations on the cymbals greatly support this effect and are an absolute trademark of the band as well. After about four minutes the blast-beat dimishes into a more driving one, to lead into a halting, almost menacing part. After a short while all instruments except one guitar stop: Now a riff similar to the song’s opening riff commences, but this time even simpler, or as one might say, purer. Not long after a secong guitar begins to play a slow, grasping, picked figure and the drums start to play a steady, fast beat – now at the latest ASH BORER sounds more like ritualistic music than a metal band. But the song ain’t over yet. The solemn, calm part erupts again into a frenzy of blast-beats, ridden by tremolo-picked guitar lines, which finally end in the song’s closer that perfectly rounds the 18 minutes of Convict All Flesh. In this manner the other songs on Cold Of Ages evolve, too. All in all the record seems to be a living organism that breathes, like the endless waves of an ocean that carves hollows into the timeless shores. This natural aspect of the music finds itself also in the sound, which is very organic and lively – and a stark contrast to many, many other Black Metal bands that aim for a sound as cold and icy as possible. The vocals seem to play only a subsidiary role, the cries seem to be a mere accompaniment for the wall of sound created by the instruments. However, when there are clean vocals to hear, they protrude everything else. So the listener might not know for sure what ASH BORER are about, but the emotional impact this music can have onto an open mind is undeniable. 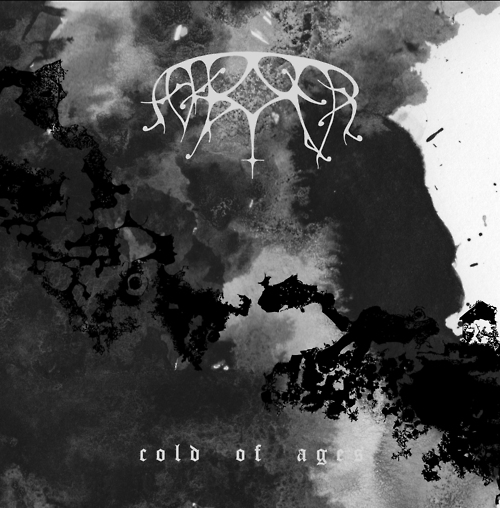 Cold Of Ages (released by Profound Lore on CD and Pesanta Urfolk on vinyl) is one of the few Black Metal records of the last years you have to know by all means.